HMCS Algonquin and Sioux first saw service with the Royal Navy as HMS Valentine and HMS Vixen respectively. The ships were then transferred to the Royal Canadian Navy as a gift from Britain. The commission dates indicate beginning of service with the RCN. The data in the tables below was extracted from BR 299, a Royal Navy publication dated 1947. Photos and specs for some of this equipment can be found in this document including the specs for all 60 series transmitters . Any numeric suffixes which appear for American made equipment, denote the procurement contract number. A TBL-4 is identical to a TBL-12 but was made under a different contract number or even a different contractor. Sioux was in reserve from 1946 to 1950 so the radio fit for the year 1947 per BR299 might be a bit questionable. 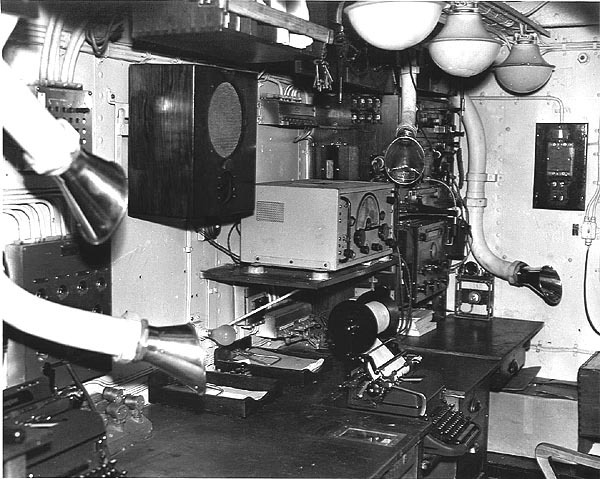 A discrepancy has already arisen from a 1945 radio office photo showing a Canadian Marconi CSR5 receiver. More detail in the photo caption. It is suspected that Sioux went into reserve status with most of her end-of-war equipment still fitted. Main Wireless Office TBL/12 - HF Transmitter . Emergency Position TCS - Radio set. 1500 – 12,000 kHz range in 3 bands. BBu - Battery Outfit. 12 volts @ 40 amp hours. 86M - VHF Radio. set. 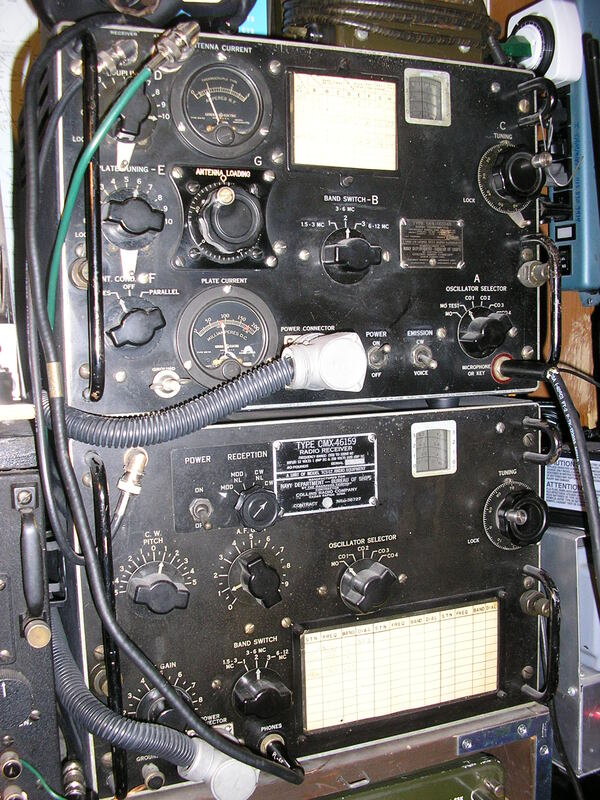 British version of American SCR-522 set. FH4/CDC - HFDF outfit using B28 receiver. 1) Because Sioux was in reserve from 1946 until 1950, there would be no need for long range navigation gear. 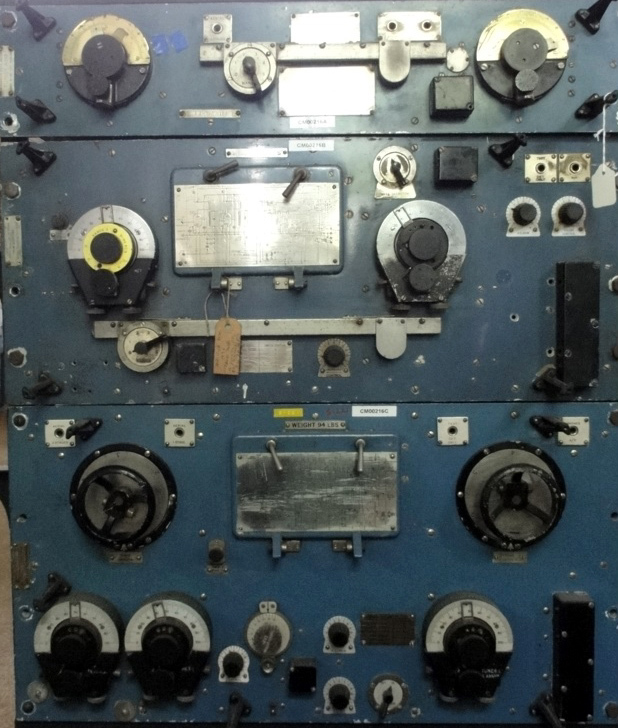 The QH3 Decca receiver was something the ship likely brought over from her days with the Royal Navy.